Last week British successor to the throne, Prince Charles and the Duchess of Cornwall, more popularly known as Camilla, came to Ghana for a four-day visit. The tour was part of a 9 day West Africa visit with stops in not just Ghana, but the Gambia and Nigeria as well. Britain was heavily involved in the transatlantic slave trade which greatly affected and weakened what is now Ghana, subsequently tightened its grasp through bloody wars with the local kings and leaders, especially the Ashanti kingdom. In 1874, the protectorate of Gold Coast was proclaimed and until 1957 when Ghanaian freedom fighters negotiated independence, the British flag flew over this land and Gold Coast people were killed, exploited, and without basic rights. Hence, a state visit from the former colonizer with such a power imbalance infused history is symbolically important and interesting to study – and discuss, see info on an event below! 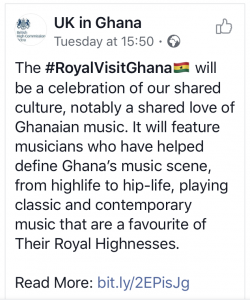 With this background, I was shocked and outraged when I saw the UK in Ghana facebook account discussed the visit with the words “celebration of a shared culture” – how is this bloody past equal to “a shared love of Ghanaian music”? Since when? 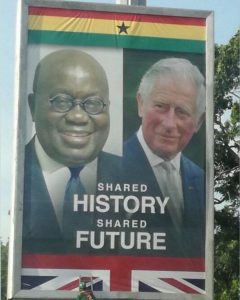 But was later informed of the major billboards around town which had President Akuffo Addo and Prince Charles on them along with the text “Shared History, Shared Future”, a message that both omits and distorts reality and hence insults the intelligence of Ghanaians. What is shared about being exploited? What is shared from one entity exporting its language, education system, religion at the expense of the other? What is shared if one nation colonized the other? Now, this is not just Britain’s doing. Ghana has to think harder in how it positions itself when power visits. Look at the Benin traditional leader asking Prince Charles to return stolen goods, for instance. 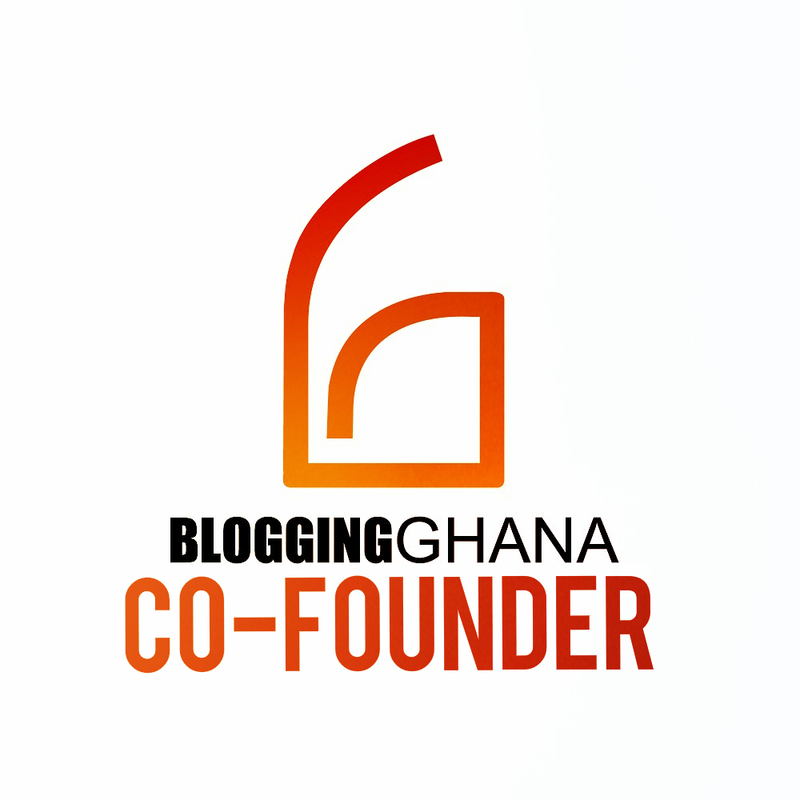 Or is there a gain to Ghana (or the Ghanaian elite?) for playing along I do not understand? Come discuss tonight Saturday 10 Nov at Libreria at 6.30pm! I find it very disappointing as a Ghanaian that citizens are not sensitive to issues with former colonial masters. Instead there is a constant crave for validation from these former masters, further strengthening their grip over thier former colonies. Take the commonwealth association for instance. It’s a system that would take a lot of conscientizing of the average Ghanaian to come to understand the complexities of former colonial masters and colonies relationship.